An oil boom in the state of North Dakota has led to a significant amount of crude being transported along the American rail system, says environmentalist Phillip Elden. Oregon is among the many states affected by this change. Q: How much oil is shipped through Oregon each year? Phillip Elden: In Oregon, oil shipments have jumped by about 250 percent over the last 12 months. The boom across the United States has offset declining products in other locations including Alaska. However, these shifting trends have come with troubling consequences. In the last year, massive explosions have ravaged areas of Virginia; North Dakota; Alabama; and Quebec, Canada. Q: Where are the oil trains traveling? Phillip Elden: Columbia River Gorge in Oregon has become the leading route for oil transport the Pacific Northwest. Rails between Portland and Clatskanie are the most frequently used, with up to three oil trains each week. Q: Does Oregon own refineries? Phillip Elden: Oregon does not currently have any refineries, so companies like Phillips 66 and BP ship oil through the Clatskanie terminal. There, it’s placed on barges that travel to the Bay Area and northern Washington. An oil train moves about twice a month through Klamath Falls and Bend on the way to a Bay Area refinery. Oil from Utah is delivered to a Portland terminal near the Willamette River. 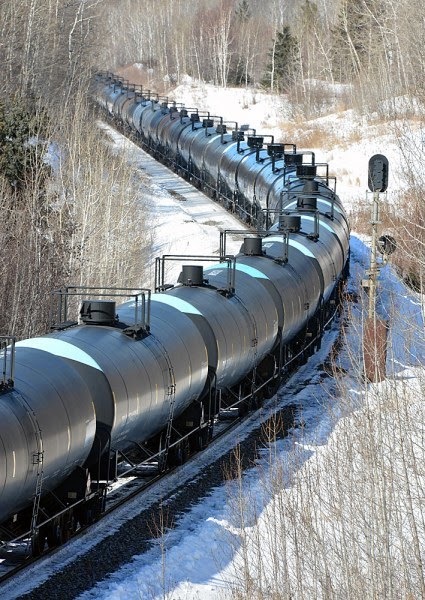 Q: How are state authorities assessing the increase in oil train usage? Phillip Elden: The professionals who are dedicated to keeping Oregon residents safe from oil train accidents are overmatched or underprepared. Rail safety inspectors in Oregon only observed eight of the total 110 trains that traveled through the state in 2013. The state employs just one inspector who examines trains transporting dangerous chemicals. When this individual looked over the oil trains, the problems were evident. The Portland Fire & Rescue team lacks the equipment and resources necessary to put out any fires caused by an oil train. This is an issue that must be addressed.